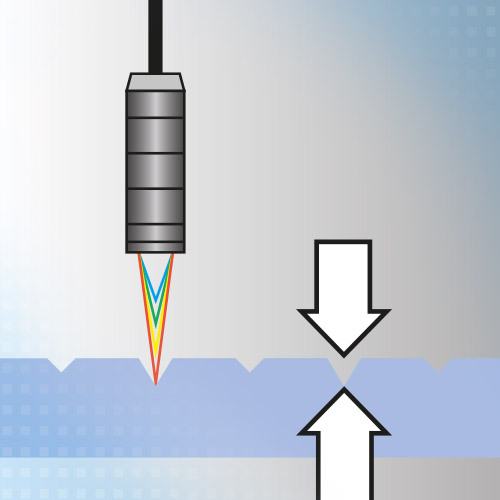 For automatic detection and measurement of saw marks, confocal chromatic sensors from Micro-Epsilon are used. The fast surface compensation feature of the controller regulates the exposure cycles in order to achieve maximum signal stability on surfaces with varying reflection characteristics. As confocal sensors from Micro-Epsilon can tolerate a large tilt angle and offer an extremely small light spot, they reliably detect saw marks and other indentations on the wafer.